I believe no introduction is needed for this particular brewery. If you are visiting my site, it is because you love Craft Beer and/or Metal, so Surly Brewing Company should be no stranger to you all. For these obvious reasons, I was already a fan of this brewery before I ever had any of their beer, as I would see their obscure, macabre beer labels posted all over the net, and I love a brewery not afraid to show their roots in Metal. One of my awesome co-workers at Big Hops Growler Station had received a few cans of Overrated and Furious by Surly Brewing, and he knew how much I had always wanted to have this brewery presented on BeerMetalDude.com, so he gave me a can of each beer. A review for Furious will be posted later. Thank you Scotty for the amazing beer! One of my favorite things about the packaging of this beer is the quote placed on the can from the brewery: It’s been said; “It’s easier to brew an extremely hoppy beer than an extremely balanced beer.” And you know us, we are always looking for the easy way out, so we jumped on the West Coast IPA bandwagon and brewed this dry and hoppy ale. “Surly’s a little bit of a one-trick pony, they just brew gimmick beers,” and maybe we are OVERRATED, but at the end of the day, it’s just a beer. If you like it, great, so do we. If you only liked us when we were small, then leave this one on the shelf. Let one of the fanboys grab it. Poured from a 16oz can into a Spiegelau IPA glass, which was designed for beers such as this.The beer poured a slightly hazy burnt orange color crowned with a two finger wide frothy white head. There was great head retention, leaving fantastic lacing down the glass. The aroma of this beer is presented as promised, a West Coast style IPA. Overrated is packed with fruity hops. Right up front, the nose is full of orange and grapefruit citrus-like notes. There is a nice backbone of light caramel and a bread like aroma. There was a nice piney scent finish, leaving a very crisp lingering scent in my nose. Make no mistake, this is west coast, all the way! The flavors match the nose, which is exactly what I was expecting. The beer is again, packed with a citrus-heavy flavor right up front. After the initial hit of fruity hops, the underlying taste of caramel, and bread peak through. Most of all, this beer is full loaded with hops. A tasty dose of grass, or pine hits the palate at the tail end of the swill. This leaves a nice dry feeling in my mouth. This is the type of IPA that I really enjoy. 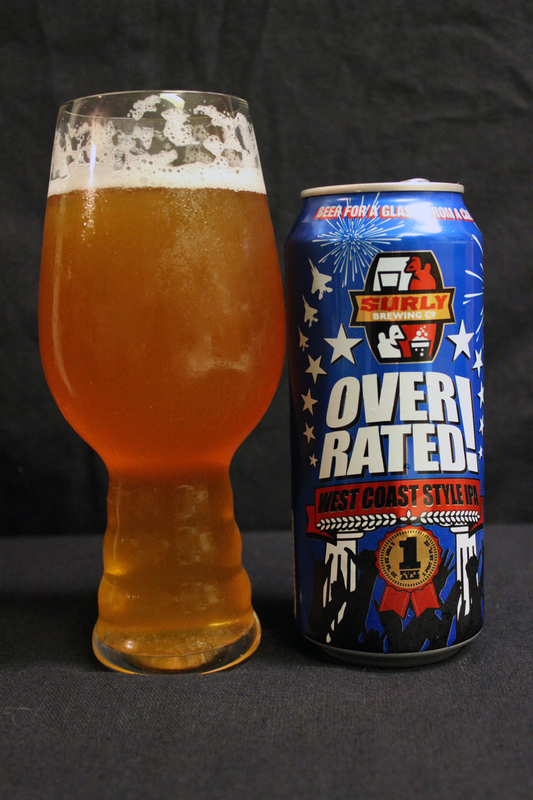 Overrated is a medium bodied beer, nicely carbonated, with a smooth, crisp, and clean mouthfeel with a dry finish. Bitterness is perfect, and not over powering at all. Very well balanced IPA, and a great example of the West Coast-style. My overall take on this beer is that these guys over at Surly sure as Hell knew what they were doing when they put together this beast of a beer. As I said before this was my very first encounter with a beer from Surly, and for the amazing taste of the beer, I am very pleased with being able to have said I had this beer. As a collector of beer labels, cans and bottles, I was a bit disappointed in the fact that this beer wasn’t one of the Metal themed bottles from their arsenal. The label was the first thing I noticed about this beer, but the last thing I cared about after actually tasting this beer. 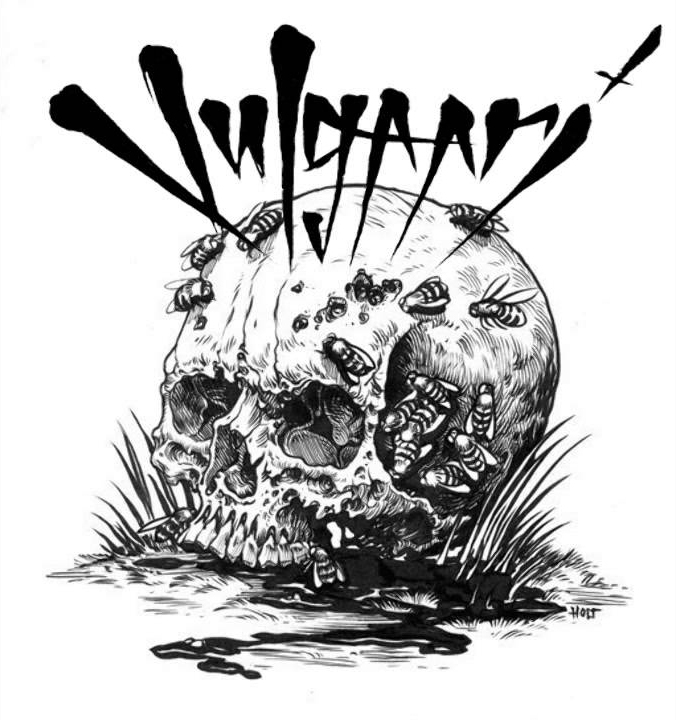 Metal Connection: VULGAARI is a Minnesota based Death/Doom Metal band which features Surly head brewer, Todd Haug on guitar. Vulgaari released their debut Self Titled full length CD in 2012 on the Cubo de Sangre Record label. The track, “Black Mountain” is my favorite and respectfully chosen as the “Metal Connection” for this beer review. This song is very powerful, and is meant to be played at a very loud volume. Perfect beer drinking music, in my opinion. I was lucky enough to have met and witness Vulgaari play live. They were one of the bands performing in Austin last month for the Blakkr Imperial Black Ale release show. What a great live show these guys put on. I hope the band stays strong and keeps on moving along, as I look forward to hearing new music from them. Be sure to check out the video link to the song, and support this awesome band by liking their Facebook page. LMAO! !… I think the TABC told Surly to GTFO with their label cuz it looked too much like My Little Pony… they thought kids were gonna wanna buy beer thinking it was pony related…. lmao….wtf? !